2. Made of zinc alloy. 3. Size: 3.23"x2.36"x1.65",please pay attention to the size before buying. 4. Inside lined with black velvet. 5. 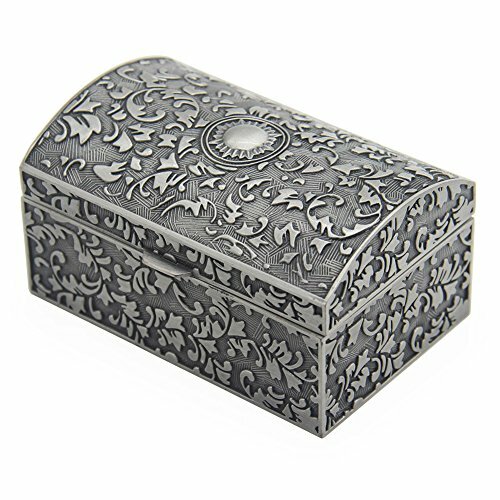 Nice and durable gift to your loved ones for birthday, also a perfect jewelry box to put your precious jewelry.